There are many kinds of ride-on toys. There are those that require foot power while there are also those that are powered by a dedicated motor just like their real-life counterparts. There are ride-on toys that require absolute balance and visual motor coordination. No matter what type of ride-on toy it is, these playthings are important in helping children master their psychomotor skills. Pedal-powered toys like bicycles and scooters help strengthen the muscles of the legs while enhancing children’s sense of balance and hand-eye coordination. For very young children, riding on a rocking horse or any other animal model can also help develop their psychomotor skills. More importantly, these toys can help introduce them to the different objects in their surroundings. 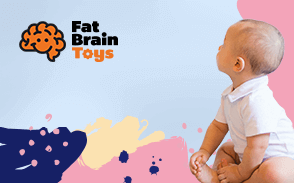 However, since these toys require a fair amount of coordination and balance, it is important to look for toys that provide optimum stability to help prevent injuries that might occur secondary to falls. Their construction must be sturdy yet comfortable enough for children to have fun riding on it. This is why we have made a list of ride-on toys that are safe and fun to use and that we are optimistic you and your child will surely love.